Albet i Noya’s (DO Penedès) Pinot Noir-Merlot Clàssic 2011 and Mas Igneus (DOQ Priorat) celler’s FA112 2008 have received the Golden Leaf, the highest accolade awarded byVinum Nature 2012, which is annually organised by Ecomundis, one of the most renowned companies specialising in sustainable management and communication. 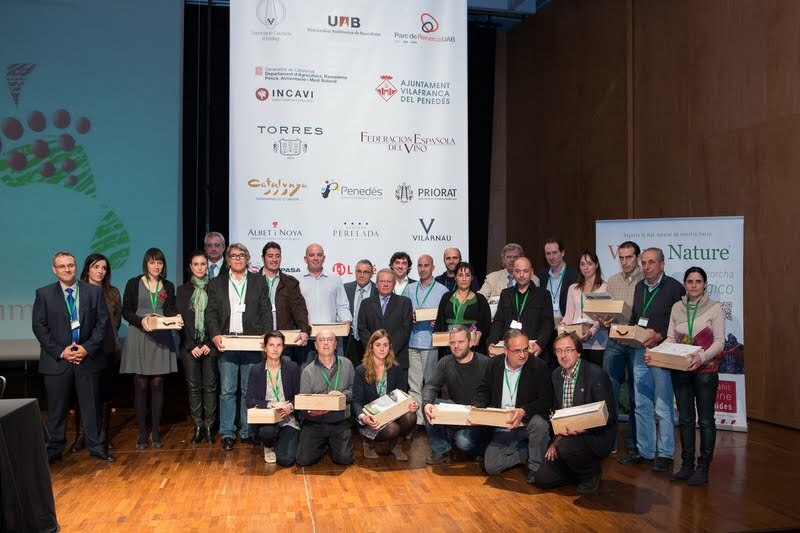 After blind tasting 650 wines, which was the basis to classify the ecological Spanish wines for the Vinum Nature 2013 Guide, only fifteen have reached the maximum category and have received the “Golden Leaf” award: “excellent quality ecological wine”. The award ceremony took place yesterday during the closing act of the EcoSostenibleWine conference, which was held inVilafranca del Penedès and in which there were debates about adapting the current ecological production systems within the scenario that climatic change poses, especially regarding the adaptation and sustainability of vineyards and wine in the immediate future. A subject of great interest for the wine-producing sector and also for the consumer, and that is why we actively participate in it. We were one of the forum sponsors and Josep Maria Albet was also one of the speakers at the round table that debated themes related to the market and eco-sustainability.